Welcome to the home of Dandelion Games. Dandelion Games is dedicated to making quality games with unique game play and a focus on entertainment. 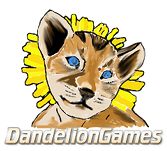 Dandelion Games is available for freelance work in game dev as well as business applications, contact dan@dandeliongames.com for details. Check out Wizard and Minion Idle, it’s newly released on Steam in 2019.